Carleton Ravens striker Gabriel Bitar made history today when he was announced as the first ever pick in the inaugural U SPORTS draft. Tasked with the number one selection following a blind lottery, Tommy Wheeldon Jr and his management team chose one of the standout players from last week’s U SPORTS Men’s Soccer Championship for their Cavalry FC side. Bitar had an outstanding rookie season with Carleton, putting up 16 goals over the regular season and winning U SPORTS Rookie of the Year honours. The Canadian was also impressive at the nationals, banging in a couple of goals and showing a physical side to his game that I like. The Ottawa native was one of 21 players selected by the seven CPL teams over the three rounds of yesterday’s draft, as the league’s rosters start to finally take some shape ahead of the inaugural season that kicks off in April. And if Mark Knopfler’s soundtrack for the 1983 Scottish film Local Hero wasn’t blaring out during the selection process, then it was a missed opportunity. The iconic music and football have a history, with Aberdeen, Newcastle United, and Tranmere Rovers amongst the clubs that play songs from the film at their home matches, and if the results of the inaugural college draft are any indication as to how the seven CPL teams are looking to build their squad, then the search for their own local heroes certainly looks like a direction every team is looking to go. Each team had three picks in a snake draft, with Cavalry holding the 1st, 14th, and 15th picks, followed by Winnipeg’s Valour FC, Hamilton’s Forge FC, York 9, HFX Wanderers, Victoria’s Pacific FC, and FC Edmonton. And from those picks, 13 players went to teams in their home province, and a couple of others to their school’s home province. 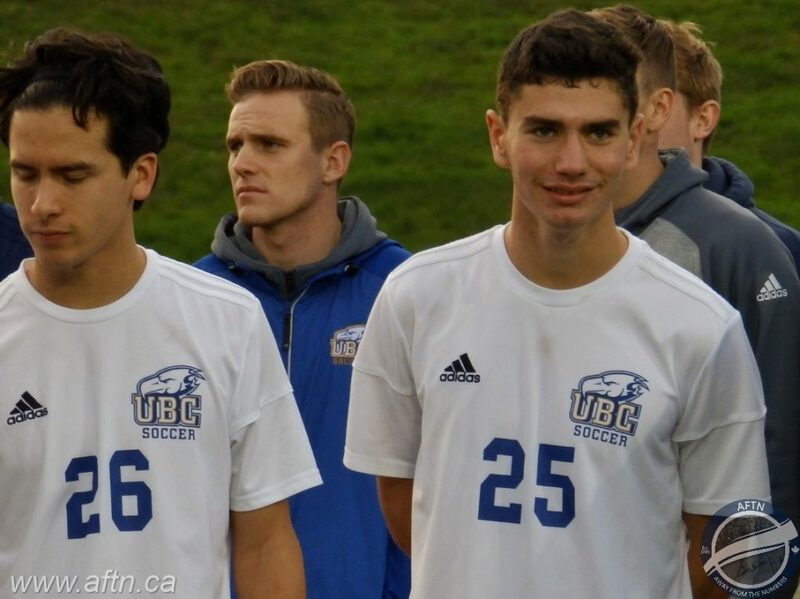 Victoria’s Pacific FC in particular kept it local, with head coach Michael Silberbauer selecting three BC boys from the UBC Thunderbirds – Thomas Gardner, Zach Verhoven, and Nick Fussell. The 20-year-old Gardner was the no-brainer first pick for the islanders after the former Whitecap won Canada West Player of the Year, and both Canada West and U SPORTS Rookie of the Year, honours in his first season in college soccer. An exciting player on the ball, Gardner has excelled since leaving WFC2 and heading into the college ranks, scoring six goals, five of them stunning free kicks and all six from outside the box, and adding two assists. The North Vancouver native will be joined on his new team by a couple Surrey boys, and Thunderbirds teammates, Verhoven and Fussell. Verhoven has had a stellar third year at UBC, leading the team with five assists over the regular season and scoring two goals, and he was key part of the Birds winning a 19th Canada West Championship with some electrifying playoff appearances. The speedy forward has really honed his game after spending the past two summers playing with TSS Rovers in the PDL, adding a defensive awareness that has helped take him to the next level in his development. This was Fussell’s rookie season with UBC after graduating from the Whitecaps Residency program in the summer. Fussell is a versatile midfielder that can play the attacking, central, and defensive roles and after a quiet start with UBC, he soon found his feet at the next level and finished the season as a starter, scoring one goal and third on the team with three assists. Having three players that know each others games so well and can bring an instant chemistry and experience to the team will certainly be a huge boon for Pacific FC. With a number of players really shining at last week’s U SPORTS nationals in Vancouver, it was no surprise to see so many of them picked up in the draft. 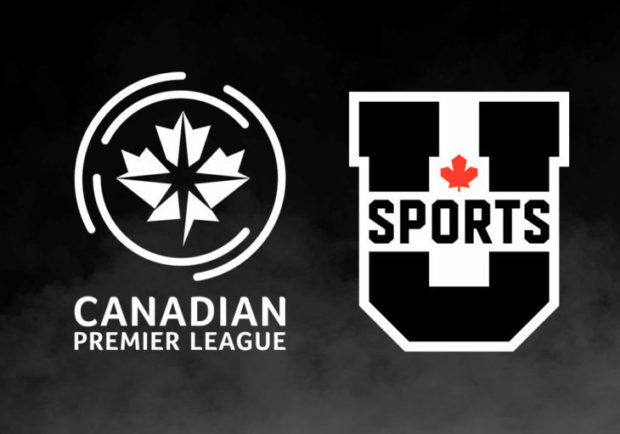 With no CPL side yet in Quebec, new U SPORTS champs, the Montreal Carabins, saw just one of their players selected, with last year’s winners and this year’s runners-up, Cape Breton Capers, seeing four of their squad selected. Another familiar face to go for BC soccer fans was former TSS Rovers player Joel Waterman. Trinity Western defensive midfielder Waterman, who played his last match as a Spartan in Sunday’s U SPORTS Bronze medal match, is reuniting with Wheeldon at Cavalry FC in Calgary, where he won a PDL championship this past summer playing as a centre back. All graduating players are free to now sign full pro contracts with their CPL teams. Those college players who have not yet graduated will sign developmental contracts, returning to their schools on August 15th to play the 2019 U SPORTS season. Gabriel Bitar has sure worked his way up, I’ve been looking up to the kid for a few years now. So happy to finally see him getting places, fantastic job! Was very impressed by him in the U Sports Championships. First time seeing him play. Looking forward to seeing what he can do at the higher level.